PENSACOLA / Fla // AUG / 21 cds with matching handstamped PAID in circle and ms “10” rate on somewhat soiled cover to Mrs. E. A. Ford, Tuskeegee, Ala., small sealed tear at top right. Scarce town / rate. Said to be only 3 recorded to which I cannot attest; none the less scarce, Ex Hall. $350. TALLAHASSEE / FLA // FEB / 6 cds with matching PAID 10, CSA Catalog type C with CV $350, on stampless cover to C. H. Gingles Esq. Fort Deposit, Alabama. Gingles was a slave owner. $350. 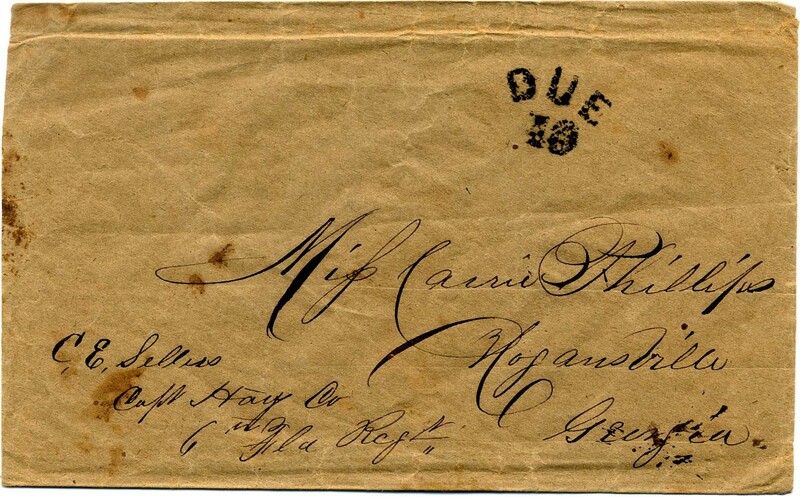 TALLAHASSEE / FLA // FEB / 18 cds with matching PAID 10 (CSA Catalog Type C, CV $350) on legal size cover to Brigadier General Howell Cobb, Quincy, Fla, with “Chgd Exc” charge box notation at upper left, slight reduction at left, bit soiled and rumpled but generally nice use. $225. Thomas Howell Cobb was a Southern Democrat and prominent politician in both the US and CSA. as well as Major General in the Army of Northern Virginia. Much more information is on the linked page. QUINCY / Flor. // JUN / 15 cds with matching DUE 10 handstamp (CSA Catalog Type D, CV $500.) 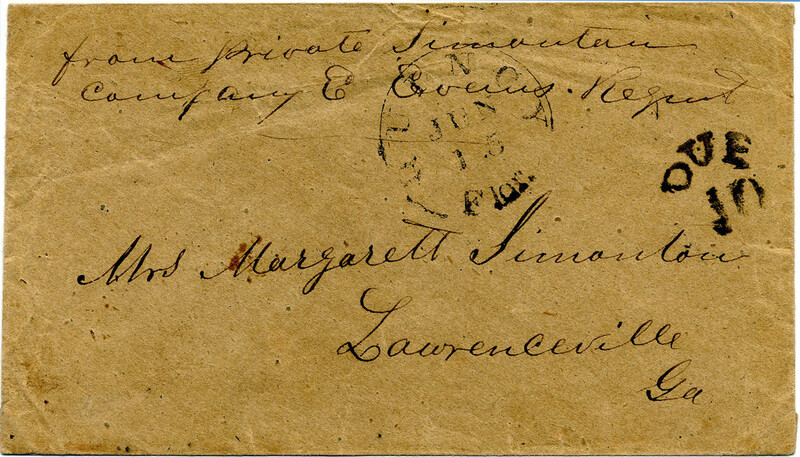 on cover to Mrs. Margarett Simonton, Lawrenceville Ga, endorsement “From Private Simonton, Company E, Ewells Regmt” at top, Very Fine. $500. W. T. Simonton served in Co. A. Georgia 60th Infantry, Lawton/Gordon’s Brigade, Ewell’s/Early’s Division, 2nd Corps, Army Northern Virginia. 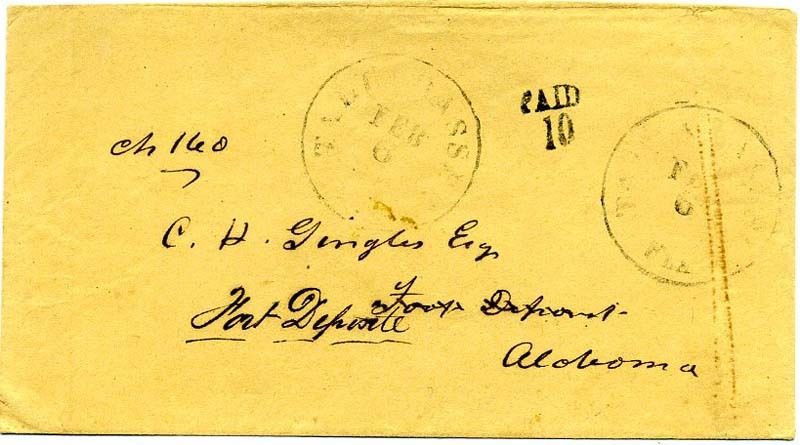 DUE 10 curved ARMY FIELD CANCEL (CSA Catalog ANV-17) on homemade cover to Morgansville, Georgia with soldier’s docketing “C.E. Sellers, Capt. Hay Co., 6 Fla. Regt.” $200. Carlton E. Sellers served in "D" Co. 6th Florida Infantry. 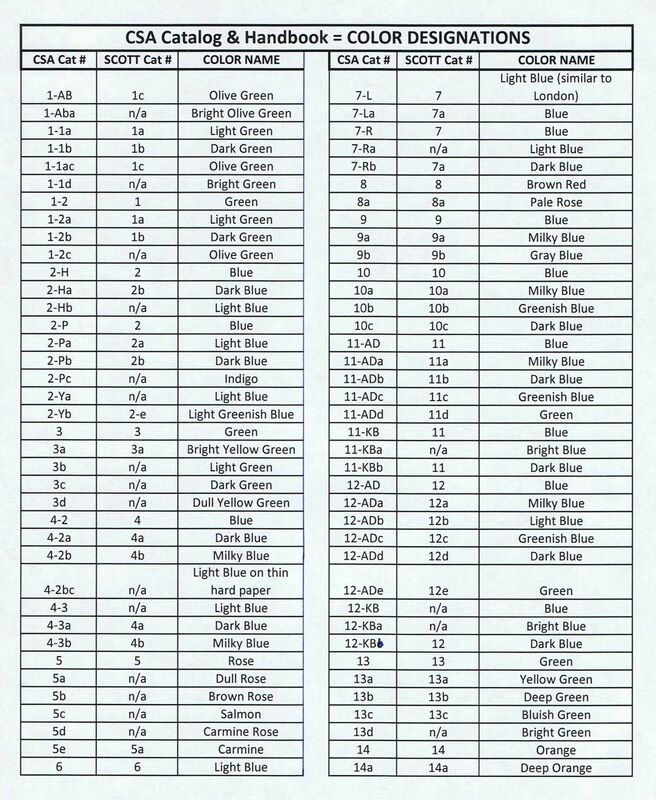 Much more detailed information on the linked page. LAKE CITY / FLA // FEB / 29 cds with matching DUE 10 (CSA Catalog type F, CCV $350) to Miss Jane PUrsley, New Center P.O. York District, S.C., with endorsement of “Lt. J.W. Pursley, Co. G. 18th S.C.V.” (AKA The Mountain Guards) Wallace’s Brigade, Johnson’s Division, 4th Corps, Army of Northern Virginia. $350. 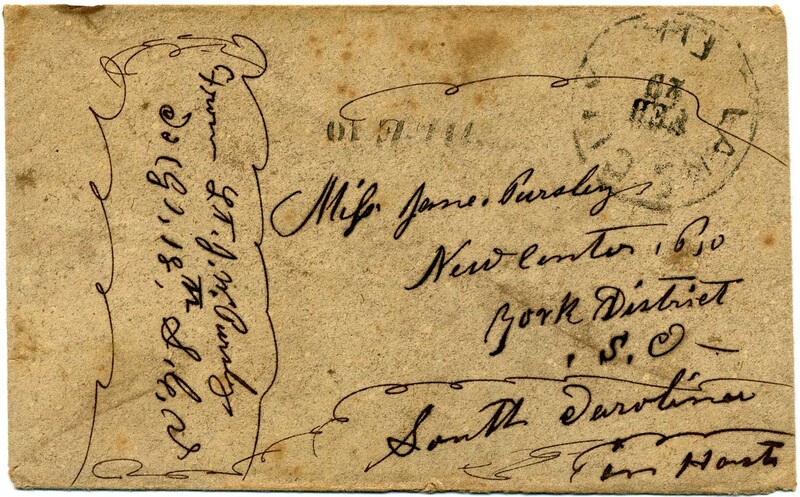 James Warren Pursley served in the 18th SCV in the Dept of SC, GA, and FL. - More detailed information on the linked page. 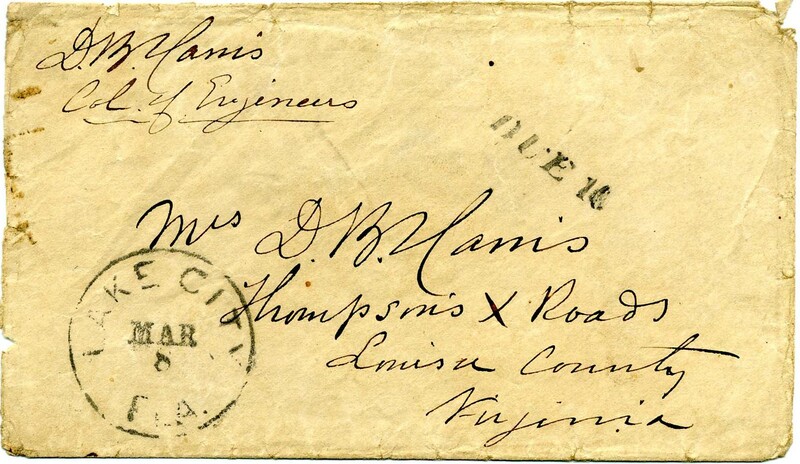 LAKE CITY / FLA // MAR / 8 cds with matching DUE 10 (CSA Catalog type F, CCV $350) to Mrs. D. B. Harris, Thompson’s X Roads, Louisa County, Virginia, with endorsement of “D. B. Harris, Col. of Engineers.” Bit edge worn. Ex Richard Hall. $200. David Bullock Harris was a CSA colonel who served as an engineer, mostly under the command of General Pierre Gustave Toutant Beauregard. Much more detailed information on the linked page. MADISON C.H. / FLA // MAR / 18 cds with matching DUE 10 (CSA Catalog type D, CCV $350) to Mrs. J. 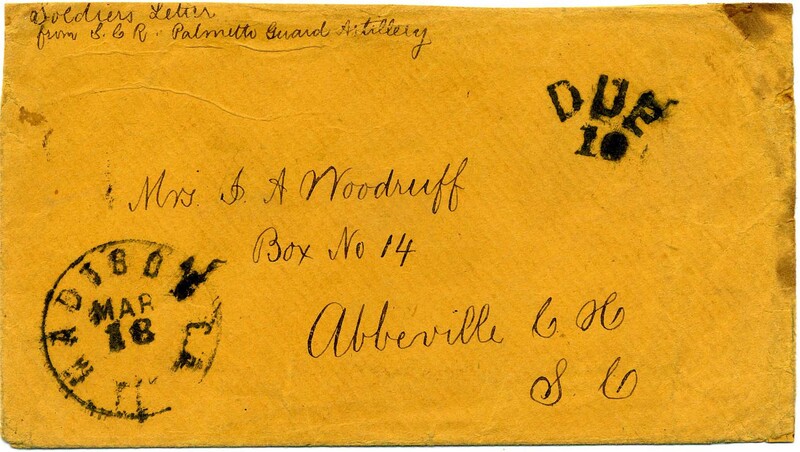 A. Woodruff, Abbeville C.H., S.C., with manuscript endorsement, “Soldiers Letter from S.C.R. 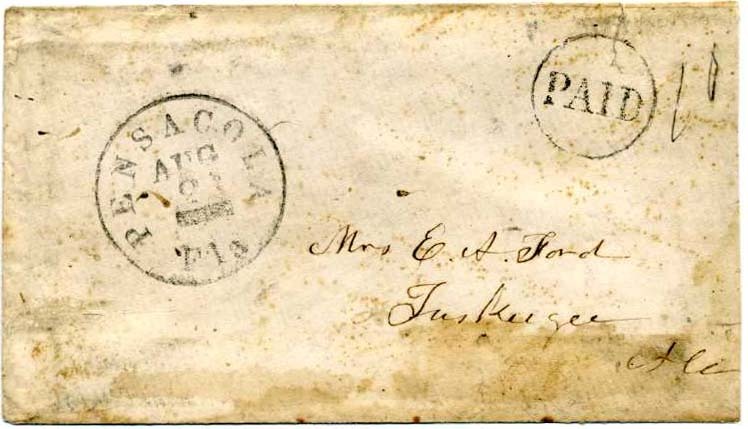 Palmetto Guard Artillery.” On back flaps is extensive note “I am going to Europe – hope that you will have a pleasant journey to S. Fran (?) * California – who know but what we may meet in some of our ? God be with & guide us all. Farewell” Also at top are three names: “Mrs. Warden, Master Warden, Mr. Wharton.” Back flap removed contemporaneously before note written, possibly by Mrs. Woodruff, bit of staining and edge wear. Ex Littlejohn. $220. 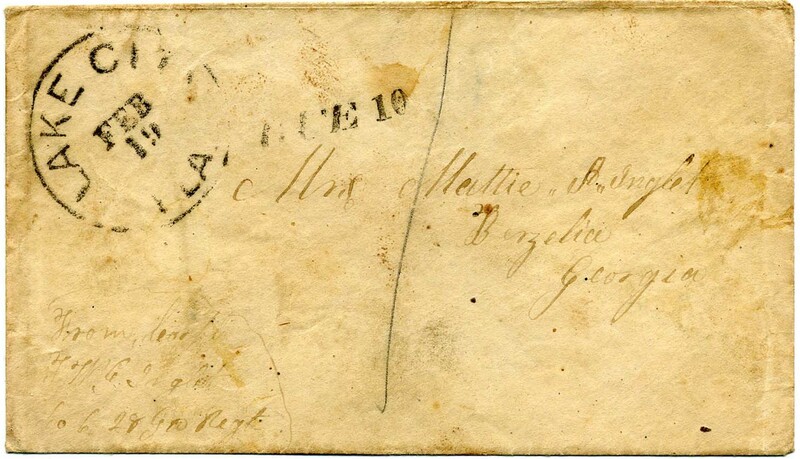 LAKE CITY / FLA // FEB / 19 cds with matching DUE 10 (CSA Catalog type F, CCV $350) to Mrs. Mattie A. Inglet, Berzelia, Georgia, with endorsement at lower left “From Sergt. T. W. G. Inglet, Co. C, 28th Ga. Regt.” Bit soiled. $220. Thomas W. G. Inglet - detailed information on the linked page..